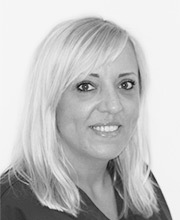 This is a registered member of the team that works alongside our Orthodontic Specialists. As part of our therapist team we have Mrs. Kate Grist and Miss Gitana Bagurskaite. They have undergone special training that allows them to fully understand the treatments that are being provided and how they work. They are able to perform routine orthodontic treatments. However, an orthodontic therapist cannot diagnose, treatment plan or carry out any procedures that are irreversible in nature. They also follow a specifically designed prescriptive treatment plan from the specialist orthodontist. 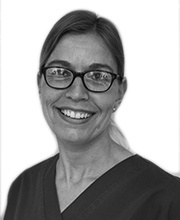 The orthodontic therapist is a relatively new concept and only adopted by modern specialist orthodontic practices, we believe that having therapists as part of our team has helped us to be more forward thinking and innovative. It has enabled us to have a more focused approached with a whole team overseeing the treatment plan. This ensures great results and better attention to your care. They enable more focused care. There is better personal attention from operator therefore clinical care is enhanced. They also help the orthodontists to be more efficient and organized for the patient. This way the specialist orthodontists can devote more time to diagnosis and Treatment Planning. There is more attention to maintaining high oral hygiene which is very important during orthodontic treatment. As a practice we are able to provide better emergency cover. We are also able to provide greater flexibility with appointments especially at peak times. Our therapists are amazing with children and hence we find better cooperation from children during treatment. This is very important for the efficacy of the treatment. What types of treatments do Orthodontic Therapists do?